Has your child been struggling in school? 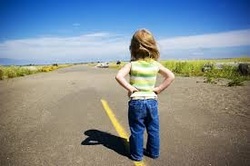 Uncertain about the road ahead? Is your child behind their peers in reading decoding or comprehension? Have you seen their self esteem affected? Is homework organization and completion a constant struggle? Is the entire family impacted by these struggles? My philosophy is that all students can learn, but it is up to me as their teacher to hold them to their highest ability and then push them a bit further. It is my job to give them the tools, the safety, and the expectations to see those abilities come to fruition. As an educational therapist, I will be able to work with your child on a 1:1 basis and provide them with those tools they've been missing or give them the instruction where they have begun to develop gaps in their learning/ability. Through my services, I will develop a plan to address your child's needs and implement a program that is consistently being evaluated and modified as needed. To see the variety of areas that I can address and provide services for, simply click on the services tab.